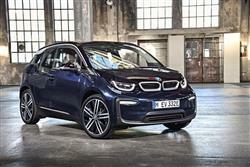 Find out everything you need to know on the new BMW I3 from independent vehicle review website Car And Driving. You can watch the video review to the left to see more of the car or read their written review below to get a true insight from an expert in the automotive industry. BMW's i3 is one of the cleverest all-electric models we've seen. But can we really still call it an 'all-electric' car in 'Range Extender' form with a little two cylinder petrol scooter engine slung out the back. Actually, we can. Jonathan Crouch looks at the improved version. BMW's i3 is an electric vehicle unlike any we've seen to date. It can be bought either in pure electric form or, as tested here, with a Range Extender petrol engine added to prolong the period you can travel between potentially rapid charge-ups. Since the original 2013 launch, the Munich maker has improved this product significantly. In 2016, the original 60Ah version was replaced with a 94Ah variant that boosted this model's theoretical all-electric operating range to over 200 miles. A year later, BMW gave the styling a minor refresh and added a slightly pokier i3s derivative into the range to create the model line-up we're going to look at here. As ever, you get the kind of dynamic driving experience you simply wouldn't expect an electric vehicle to be able to provide. But then this is BMW's approach to EV motoring. Perhaps we shouldn't be surprised. Like its sister model, the hybrid i8 sportscar, BMW's i3 represents a very different take on EV motoring, designed from the ground-up as an electric vehicle and unusual in this segment in its use of rear wheel drive and its emphasis on an engaging at-the-wheel experience. It remains groundbreaking thanks to the lightweight chassis and bodywork solutions that have left this contender far less heavy than other pure electric rivals. It's become a more credble option too, since BMW fitted uprated larger '94 AH' lithium-ion batteries that considerably boosted the all-electic operating range. That hasn't lessened the demand amongst i3 buyers to add in the extra petrol-powered 'Range Extender' engine option though, pricey as it is. This variant, like the standard all-electric i3, has been recently improved, with minor styling upgrades and, more significantly, the extra availability of a slightly pokier i3s variant. As you might expect from a BMW product, the i3 doesn't want for go. The electric motor is mounted low down within the rear axle which helps to keep a low centre of gravity and also to improve crashworthiness. The power unit weighs just 130kg and produces 170bhp in standard form, which means that the i3's power to weight ration of 141bhp per tonne is just 5bhp per tonne shy of a Honda Civic Type R hot hatch. If you're interested in a comparison of that sort, you'll be interested in the slightly pokier i3s variant, where the electric motor's power output is boosted to 184bhp, plus there's sports suspension with specially developed springs, dampers and anti-roll bars. Whatever i3 variant you choose, as with all electric vehicles, a decisive advantage comes in its amount of torque. In a typical city scoot such as, say, a 1.2-litre Fiat 500, you can count on 102Nm of torque, but this BMW generates a hefty 250Nm of muscle in its standard frm (or 270Nm in 'i3s' guise), offering instant urge with all that torque available from idle. It's sent to the rear wheels via a single-ratio gearbox that offers the choice of three driving modes: Comfort, Eco Pro and Eco Pro+. The i3s has an extra 'Sport' setting. This translates to a car that's certainly not slow off the mark. The standard model will get from standstill to 37mph in 3.8sec and to 62mph in 7.3sec (or 6.9s for the i3s). Either way, any Toyota GT-86 sportscar drivers will have a very hard time keeping pace with an i3. The top speed is limited to 93mph in the standard model or 99mph in the i3s. Extremely direct steering, a low centre of gravity, a clever DSC stability control system and lightweight body structures add up to very focused driving characteristics. BMW has engineered in a little body roll, largely to clue drivers in to where the limits of those narrow tyres are, but this remains a car you can enjoy hustling along. Go for the 'Range Extender' version of this car, as is possible with ether i3 or i3s variants, and a tiny 650cc two-cylinder petrol engine is added to cut in once the battery power is spent. This BMW looks like nothing else on the road - such being the benefits of design from scratch. The Munich maker wanted to do that in order to create the kind of class-leadingly light bodyshell that would allow for the fitment of larger batteries to increase the driving range. That was the idea - here's the reality, with bodywork fabricated from the kind of aluminium and carbon fibre mix you'd find on a McLaren P1 supercar or an F1 Grand Prix racer. As for changes made to this revised model, well there aren't many. The trademark BMW i Black Belt running from the bonnet over the roof to the car's rear end is now complemented by A-pillars and roof lines that also sport a black finish. The front and rear aprons have been restyled and a smart chrome design strip now runs across the full width of the rear end. On the sporty i3s variant, there's a roof line accent with a high-gloss black finish and a rear apron composed of individually styled contours with a black surround frame featuring an extra-wide, body-coloured inlay. Getting in requires use of opposing coach-style doors that open to reveal the lack of the kind of central B-pillar that almost every other car in the world has to have. Unfortunately, only two folk can be accommodated in the rear nut those that can be carried have reasonable space to play with. There's also a 280-litre boot extendable to 1,100-litres. Up front, there's no conventional instrument cluster - just two high-definition LCD screens, one behind the steering wheel and the other sited at the top of the centre console and big enough for rear seat folk to see. The gear selector and start/stop button share a stalk projecting from the steering column and you engage gears using a rotary controller, which moves forwards or backwards. The central design element is this arc of trim extending from the air vents on the left-hand side of the cockpit, which continues behind the steering column and reaches its full height above the usefully deep top-lidded glove box. Most i3 models will be leased but if you are looking at buying outright, you'll need to know that pricing starts at around £29,500 for the pure electric version. You can tack on just over £3,000 more if you want the Range Extender model: nearly £33,000 seems quite a lot to integrate a scooter engine. These figures take into account the generous £4,500 OLEV Government grant, a bigger grant, we should point out, than applies to rival Plug-in hybrid competitors. The Range Extender version is the one that one motoring journalist dubbed 'the coward's choice'. Well, paint me yellow if you like, but as someone who routinely pulls his mobile out to find the battery pancaked, I'm not sure I'd be altogether different charging a car. It's certainly true that if you really get your act together and use the i3 as efficiently as possible, ownership of this version will see you paying for and lugging around a hunk of metalwork in the back that'll rarely, if ever, be used. But if I was buying this car, I personally wouldn't care about that. Peace of mind is hard to put a price on. BMW reckons that most customers will agree with me, over 80% likely to continue to choose the Range Extender option with this i3, which means we're either a nation of cowards or something different. Pragmatists, I'd say. The biggest draw for many with this i3 will be its personal taxation advantages. The all-electric version is, after all, BIK tax-free, while this Range Extender model's official 13-14g/km CO2 rating (15g/km for the i3s) means it qualifies for a mere 5% of benefit-in-kind liability. Corporate business customers benefit from a 100% capital write-down allowance and very low levels of National Insurance taxation. As for driving range, well here's a car that official statistics suggest can in this 94AH guise offer a range of up to 146 miles on the European test cycle. Mind you, my experience with electric cars to date has taught me to deeply distrust official statistics: I'd work around an all-electric driving range of around 115 miles if I were you. If just listening to those kinds of figures prompts you into an attack of so-called 'range anxiety', then the i3 Range Extender model we're looking at here is the version for you - to a point. The little motorcycle petrol engine here mated with battery power is reasonably efficient but unfortunately must operate with a tiny 9-litre fuel tank that offers you an extra driving range of no more than about 93 miles. In other words, your total real-world journeying distance is extended over that of the pure electric i3 to a figure that'd probably be in the region of around 200 miles in normal use, maybe a little more if you're a feather-foot and the season and the conditions are working in your favour. Based upon battery and engine combined use over that sort of distance, BMW claims the combined cycle i3 Range Extender fuel figure to be an astonishing 403.5mpg. Based on its use of petrol alone, this car delivers only about 40mpg, which is what you'd get if you were to find yourself without electrical back-up for a few days. Given the fact that we're talking here about a tiny two cylinder scooter engine, that's far less impressive. If, so far, you've been a bit sceptical about electric vehicles, then you need to try this one, especially in this improved guise. Even if it doesn't change your viewpoint, you're going to have a heck of a lot of fun proving yourself right. It's distinctive, enjoyable and feels like a genuinely special ownership proposition. Compared to this i3, even a talented vehicle like BMW's own 1 Series seems a bit grey and two-dimensional. Like it or not, this is the future for small cars. Like most British buyers, if I was spending my own money, I'd definitely go for the version with the Range Extender petrol engine fitted. It gives the car the added flexibility you'll appreciate when life doesn't quite go to plan and, apart from the premium being asked, other downsides are few. Quite frankly, why wouldn't you? That's a question you could ask of the i3 package as a whole. And answer negatively by citing prestige pricing, awkward looks and restricted rearward space. None of these thing though, are issues likely to unduly bother the vast audience BMW is targeting with this car. People who've so far stayed away from the electric vehicle revolution - but might well join it now.